NEW HI-PERFORMANCE SMALL BLOCK FORD 351W (WINDSOR) BLACK FEMALE CAP “Ready-To-Run” HEI DISTRIBUTOR AND CHROME 45,000 VOLT COIL!! Get the improved performance of the Electronic Distributor with the old school look of a points distributor!! 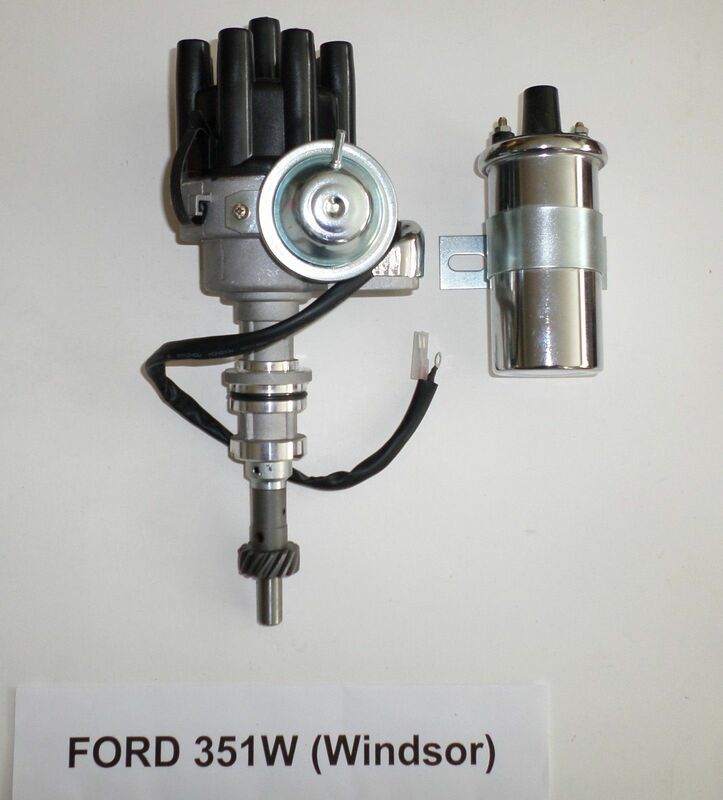 !Brand New SMALL BLOCK FORD 351W Small Cap HEI Distributor with a female/points-style distributor cap. Although this distributor has a points style distributor cap, it is fully electronic. 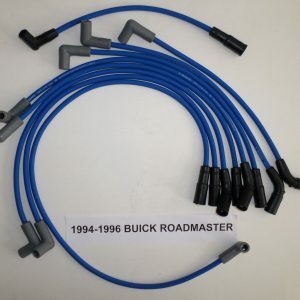 This distributor is also know as a Ready-To-Run distributor. Distributor cap is BLACK. DISTRIBUTOR comes with a 3 YEAR WARRANTY!! 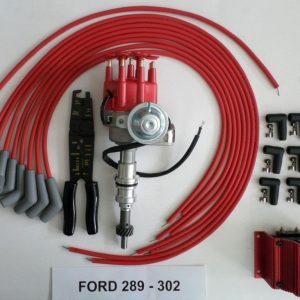 This distributor requires an external 12 volt coil for electronic ignition and it is included in this listings. Distributor works on Small Block Ford 351W that are carbureted. 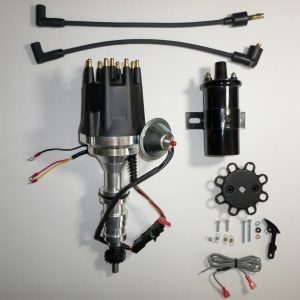 If you want this distributor with spark plug wires and a coil, please check out my other listings. I have the distributor and wires in Red, Blue or Black and the coils in Red, Blue, Black or Chrome. If you do not see the color combination you want, just message Dan via eBay. I also have this same electronic distributor with a male (small HEI style) cap. **PLEASE NOTE: YOU MUST RUN EXTERNAL COIL WITH THIS DISTRIBUTOR and IT IS included. Coil needs to be 12V and have an output of 40,000 volts or more. 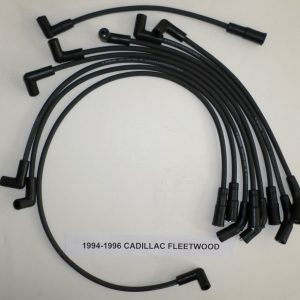 If you do not need a coil, please see my other listings that do not include the coil with the distributor. 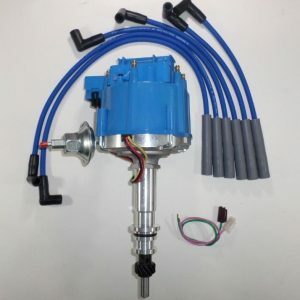 This Small Cap HEI Ready-To-Run distributor is made for easy installation. Just hook up the two wires and you are “Ready to Run”!! This distributor comes with easy instructions and a 3 year warranty. Check out my feedback and buy with confidence. This Distributor Features:-Small Cap allows for easy fire wall clearance, especially for Pre-1975 that do may not have the room for a large size HEI. -Unit is fully CNC machined. -Fully self-contained distributor with built in Module. 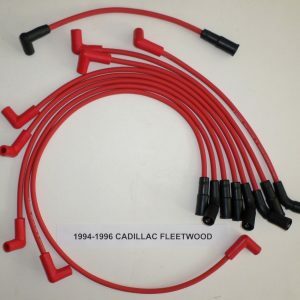 Only requires 12 volt External coil for electronic ignition (Typical points coil will not work). No Ballast Resistor is required. -Same as late GM HEIs except you run an external coil instead of In-cap coil. -Eliminates the need for all the extra wiring and ballast resistor. -Spark plug gap can run from around 45-50 instead of 35 if you run points. -Same size as the original points distributors and is fully electronic. 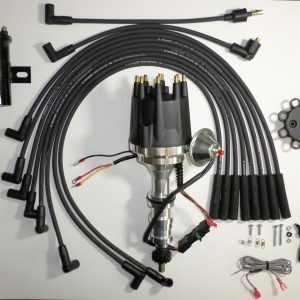 – Those with carburetors prone to flooding will notice a huge difference, as the spark on electronic ignition is many times stronger than point style ignition. – Much better performance, over points, mostly due to the better combustion of unleaded fuel, as this was the primary reason for the development of electronic ignition. – Point dwell changes as points wear out, causing your timing to advance dramatically. This brings your engine much closer to detonation, not to mention hard starting, and poor performance. 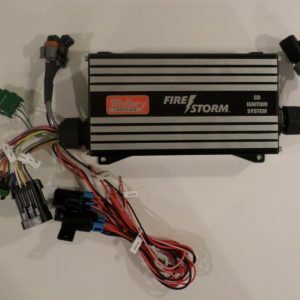 – Over all engine life is much longer with electronic ignition over points.This listing also includes a New CHROME 12 Volt coil that puts out 45,000 volts. This coil has the classic “old Skool” look and is oil-filled. This is a perfect coil to run with this electronic distributor. The coil also comes with a 3 year warranty.